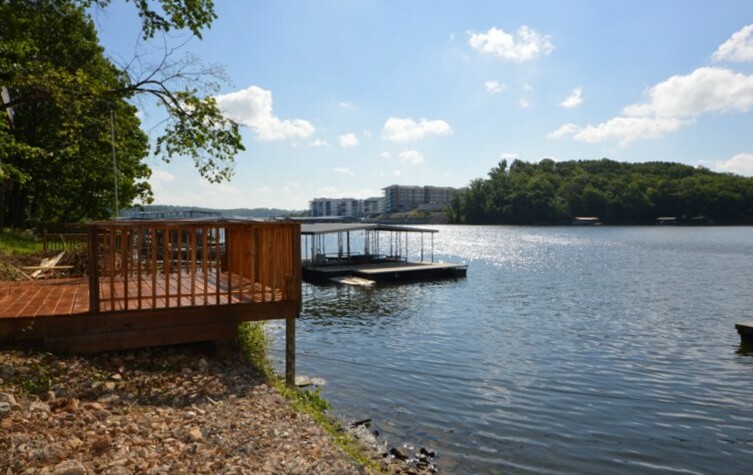 Affordable water front home @ Lake of the Ozarks - $269,000! Located just off Horseshoe Bend Parkway in Lake Ozark by land and nestled in deep water cove protection of the 2MM by water. Enjoy this recently updated lake front home with new roof, carpet, paint inside and out and more. Home features 4 bedrooms, 3 bathrooms, vaulted ceilings, wood burning fireplace, lots of storage,and attached two car garage. Spacious home with an incredible view, lots of decks to enjoy it, plus you have cove protection and deep water!! The dock and the hoist are included. By the way it also faces East for afternoon shade. Yes, the whole package!